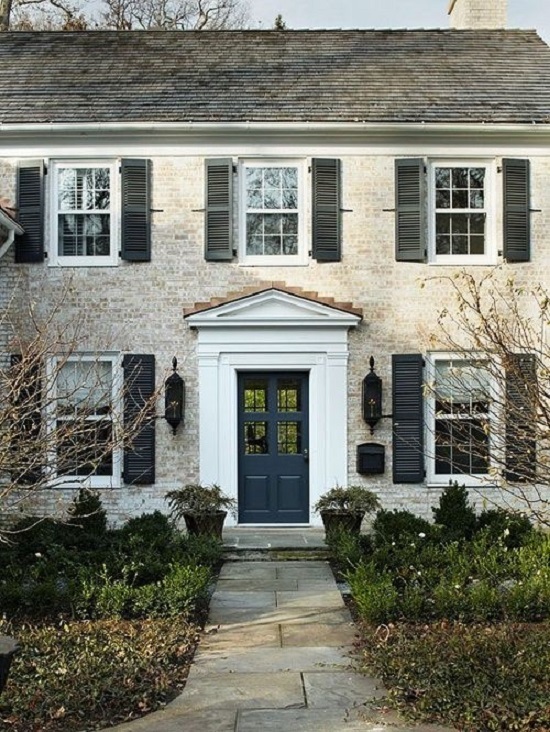 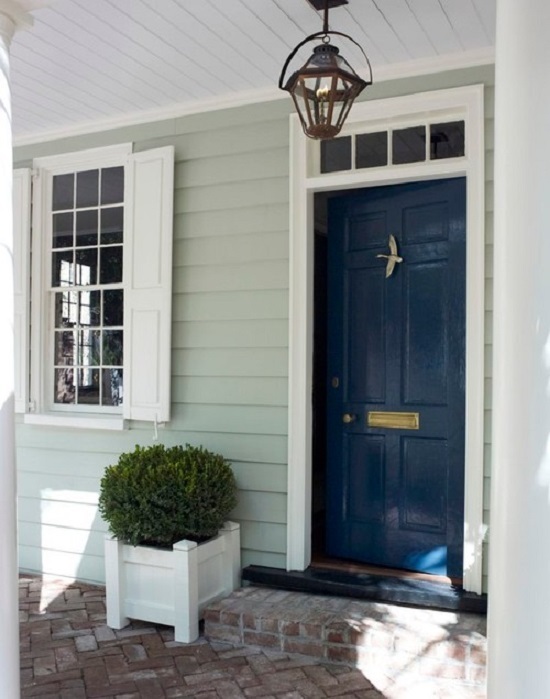 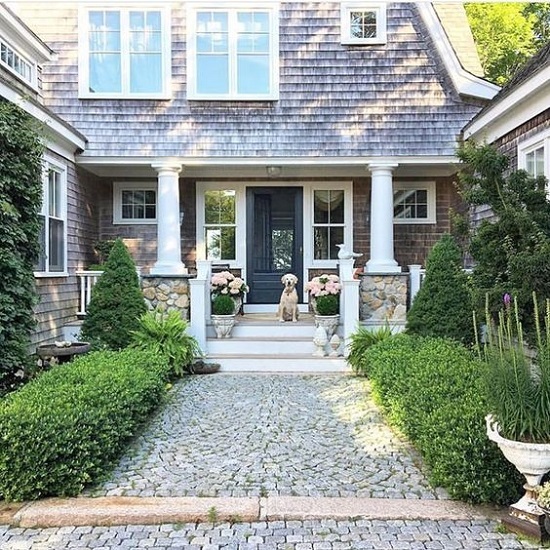 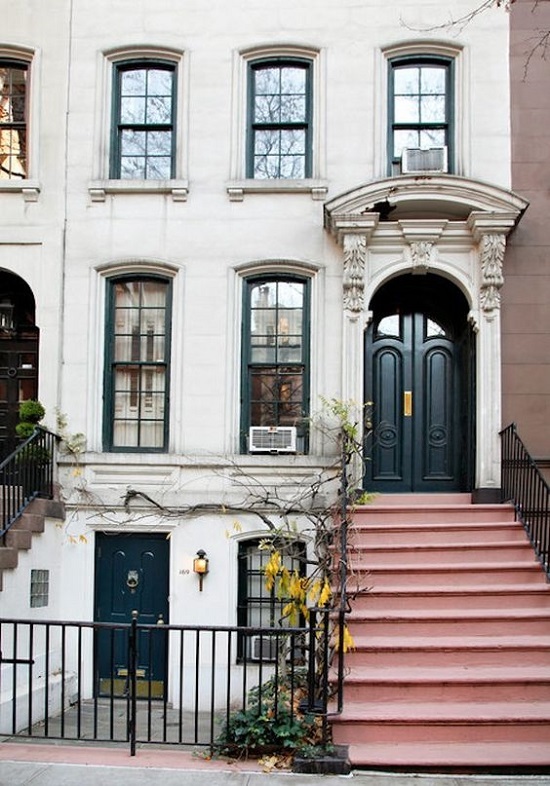 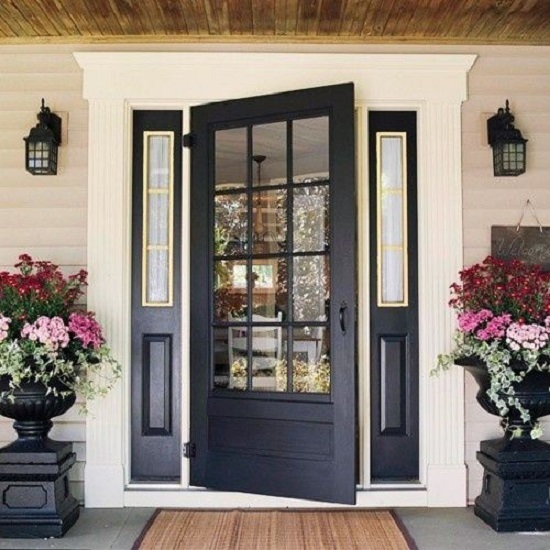 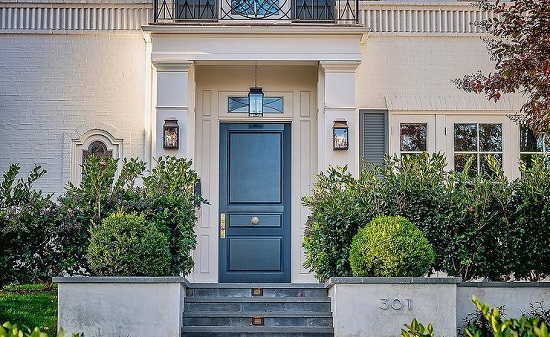 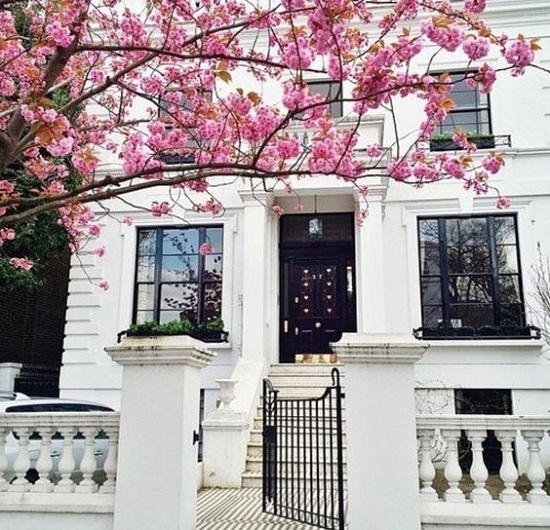 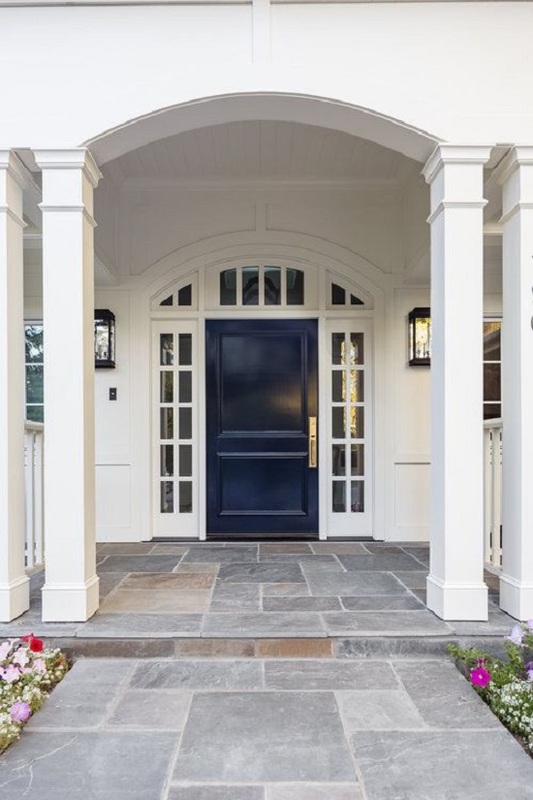 A rich navy or creamy light blue are two of my favorite colors for a front door to give a house instant curb appeal. 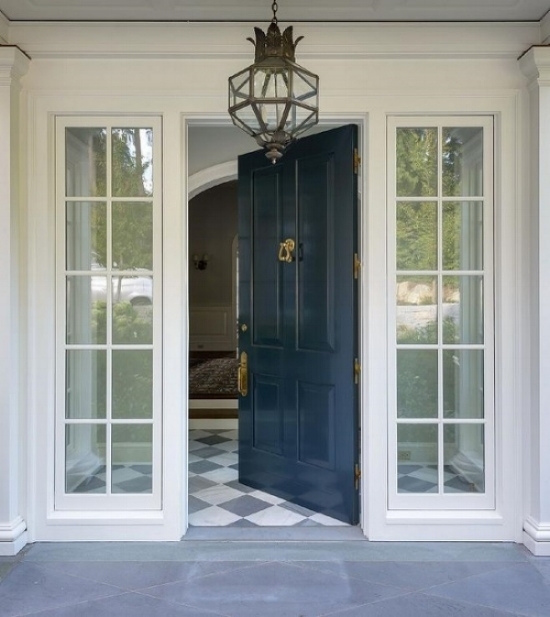 Blue is an all-around calming and relaxing color that I think if done the right way can feel very luxurious. 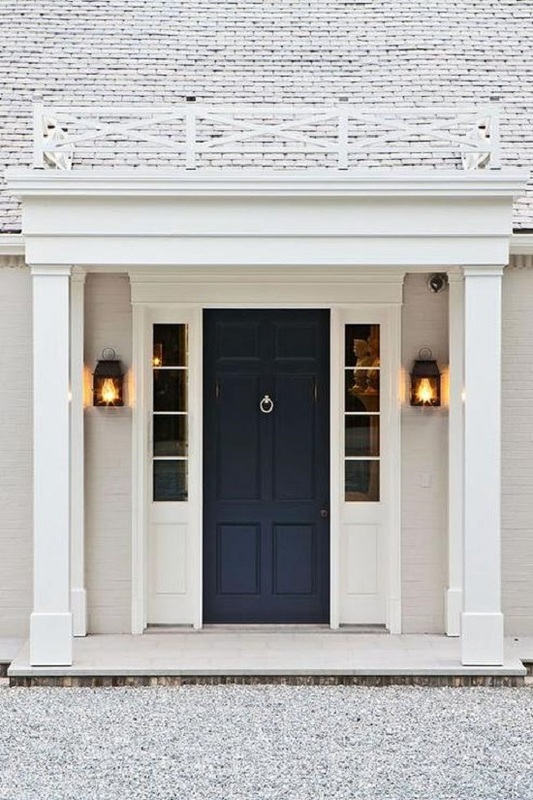 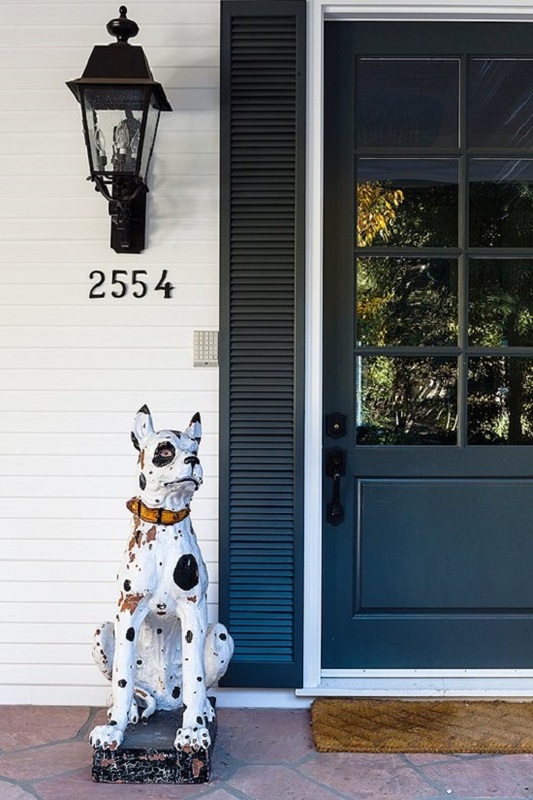 If you’re thinking about painting your front door blue, here are some of favorite blue front doors for inspiration from deep navy to light blue. 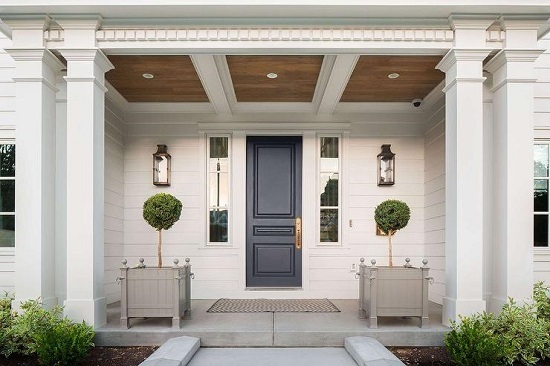 As with all paint projects, I’d recommend painting samples on your door first to get an idea of how the color reads on your home. 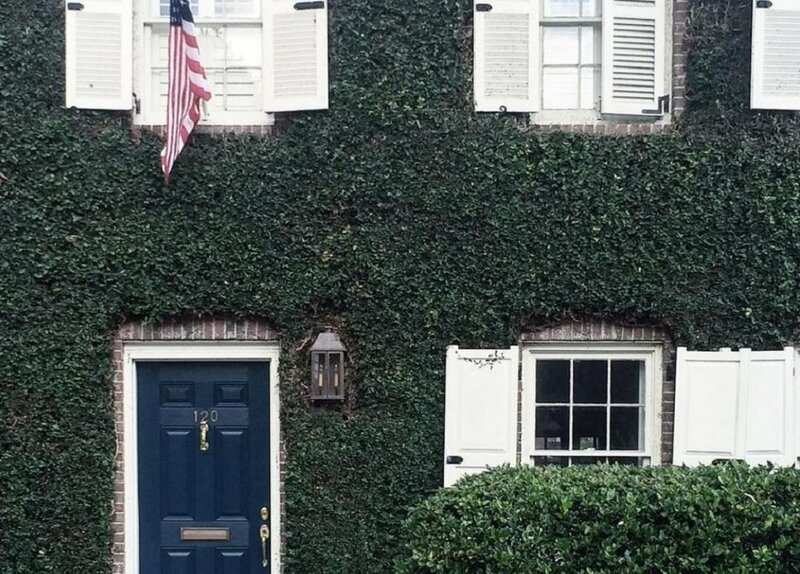 When we repainted our front door I ended up trying 8 different colors on our door from Gentleman’s Gray to Commodore blue before settling on a color called "Inked" just to get the right shade for our home.